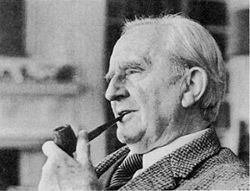 In 1979 the US National Public Radio broadcast a radio dramatisation of J. R. R. Tolkien's The Lord of the Rings. It was produced by The Mind's Eye and has since been made available by several different companies. Radio drama was a rarity in the United States at that time, and this production was popular at the time of its broadcast. It was later overshadowed by the BBC radio dramatisation. 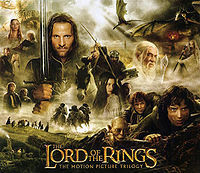 The Mind's Eye also produced a six-hour adaptation of The Hobbit. The Mind's Eye adaptation has also been identified with Soundelux, and, most recently, with Highbridge. The name changes correspond to the companies which owned the rights at different times.